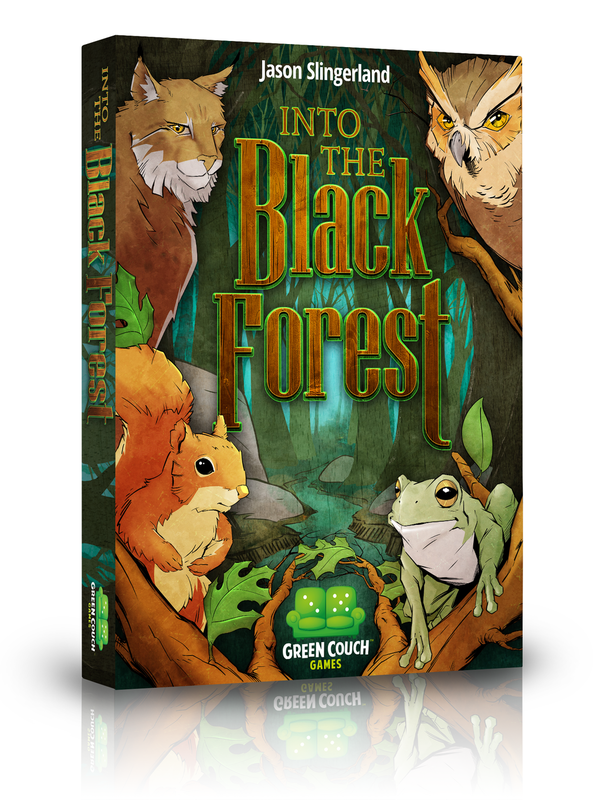 Filler combines many of the ingredients that have made Green Couch Games a treat to bring to the table. Easy-to-learn rules mixed with a quick playtime and playful appearance makes Filler a great game for families of casual gamers or connoisseurs looking to pass the time waiting for more guests to arrive. In the game, players will use multi-use cards and a blend of simultaneous action selection, time and resource management, set-collection, and hand-building to collect ingredients needed to fill tasty pastries on their way to becoming the Star Baker. Starting with a hand of 3 cards with various start times and basic ingredients, players will choose a card to reveal along with other players to determine the turn order. The earliest player to show up for work goes first and so on around the table. Using cards from their hands (Pantry), players may use ingredients they have acquired to Fill recipes from a central row of available cards (Recipe Book) or Restock The Pantry by picking up all of their previously played cards. Each recipe filled will provide new start times and ingredients to use in future rounds and may earn points that are represented by money, customer reviews, or critical acclaim at the end of the game. The availability of bonus points and cards containing special actions help to direct players’ choices in the kitchen, add depth of play, and provide variety and replayability. This card game crams a lot of sweet delight into its 72-card package. 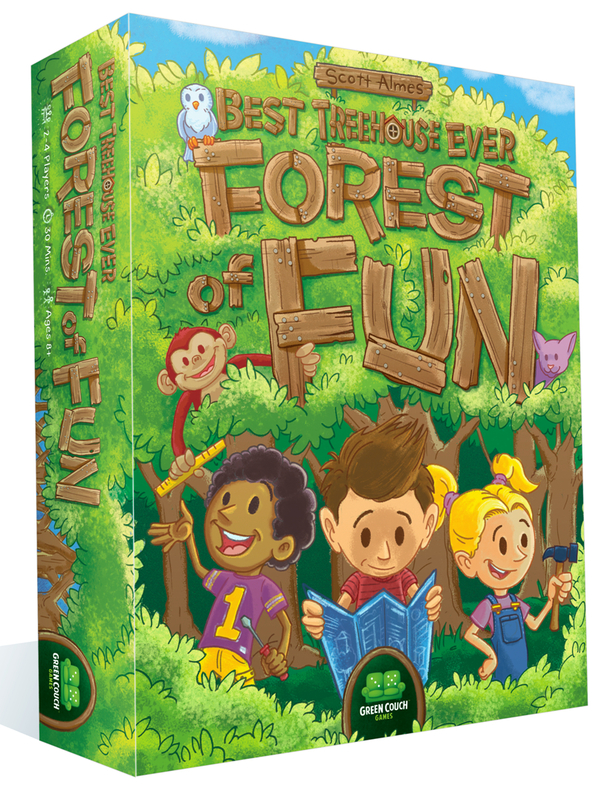 With illustration and graphic design by Claire Donaldson (Best Treehouse Ever: Forest of Fun, Go Nuts For Donuts, Food Truck Champion), Filler will leave players with a mouth-watering desire to play this delicious game again and again. 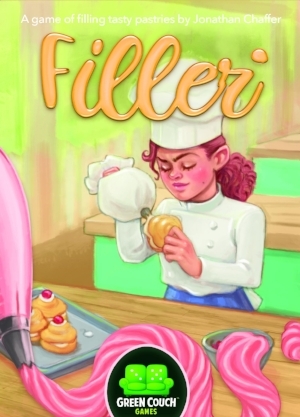 Filler is a game for 2 to 6 players, ages 8 and up and is designed by Jonathan Chaffer of GRUBS (Grand Rapids Unpublished Boardgame Society). 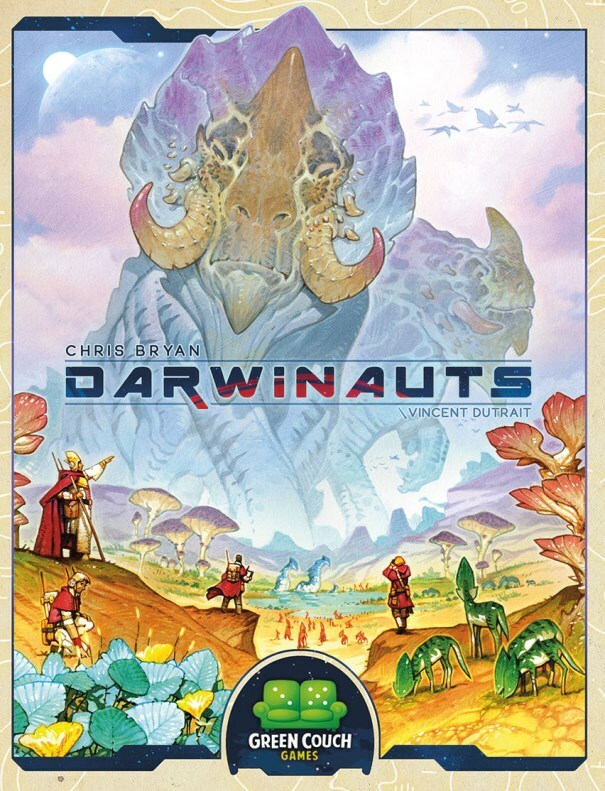 This game follows Chaffer’s first game, Stroop, from Grand Gamers Guild. The game plays in 20-30 minutes. 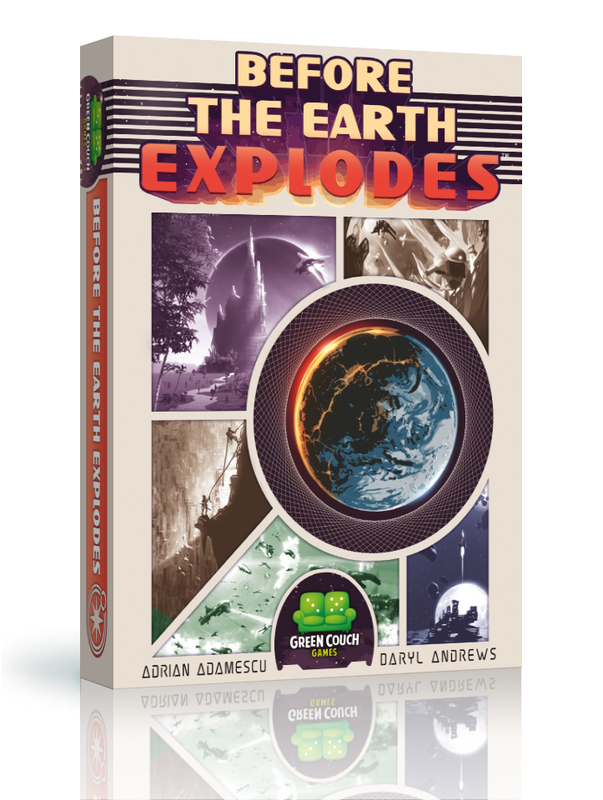 The game is set for a Kickstarter campaign launching on April 11th, 2018 with plans for a Q3 2018 release.